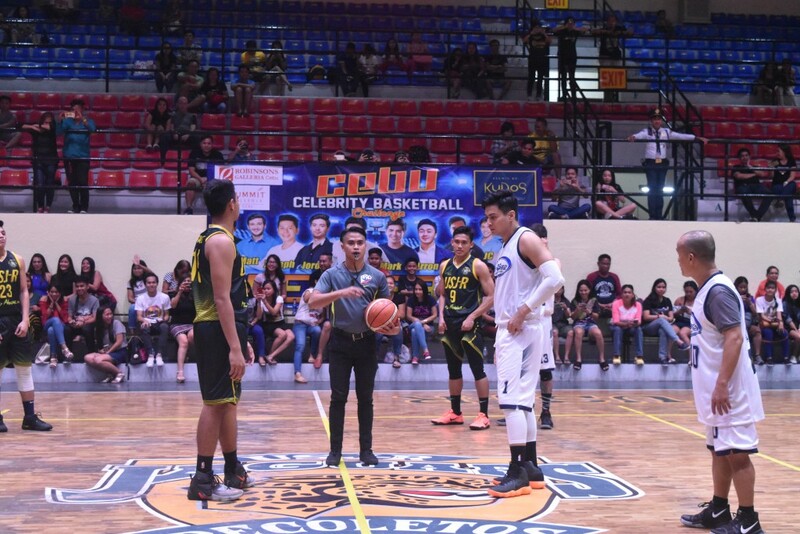 The match between the university basketball team and the celebrity players last January 13 ended up with a tie. In the last six seconds, Jaguars got a two-point lead over the guest team with a score of 102-100. But just before the clock flashed zero, the opponent team was able to make a two-point shot. 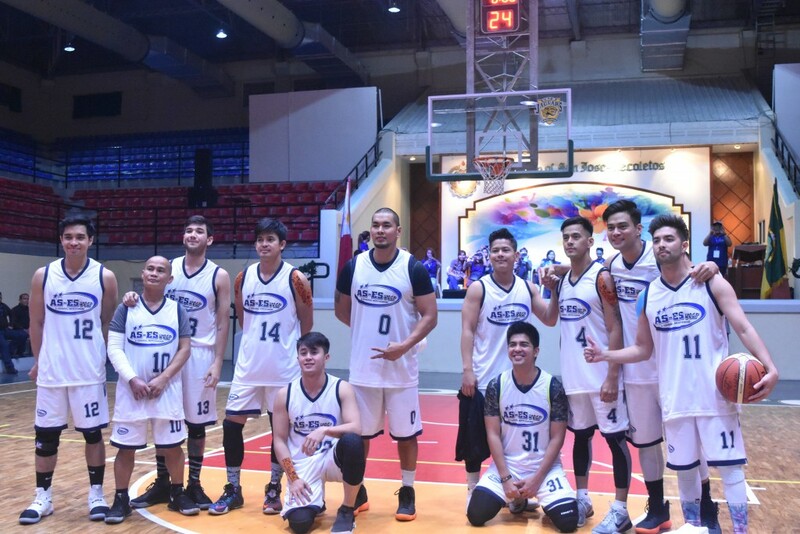 The guest team was composed of TV personalities namely Joross Gamboa, Matt Evans, Jason Abalos, Arron Villaflor, Mark Herras, JC Tiuseco, Joseph Bitangcol, Marco Alcaraz, Derick Hubalde, Jordan Herrera, and Onyok Velasco. Guest Team. Composed of TV Celebrities fought against the university basketball team. Hubalde lifted Herrera in order to secure the last two-point shot which sealed the tied score of 102-102. Both teams were declared winners after the teams and organizers concurred not to proceed with an overtime play. Joross Gamboa, one of the lead scorers of his team, said that he enjoyed playing with the USJ-R varsity players. He added that his purpose of the event is to entertain the audience. Meanwhile, the Panthers of the University of Southern Philippines Foundation triumphed over the Cobras of the Southwestern University- Phinma with a final score of 80-72 during the pregame of the Jaguars versus the celebrity players. Events by Kudos organized the match in order to raise funds for a non-government organization which provides aid to senior citizens. Jump Ball. Start of match between the USJ-R Jaguars and the Celebrity Players. “Events by Kudos is an organization that values the foster of community relations by promoting sports and the development of camaraderie among young people and the stars,” said Abby Alfar, one of the organizers. Rev. Fr. Nestor Raras, OAR, Vice President for Student Welfare and Sports Moderator at USJ-R, expressed gratitude to the organizers for choosing the University of San Jose-Recoletos as the venue for the star-studded event. “It was a great opportunity to host such event and it is a great pleasure that the organizers chose USJ-R as the venue,” he said.